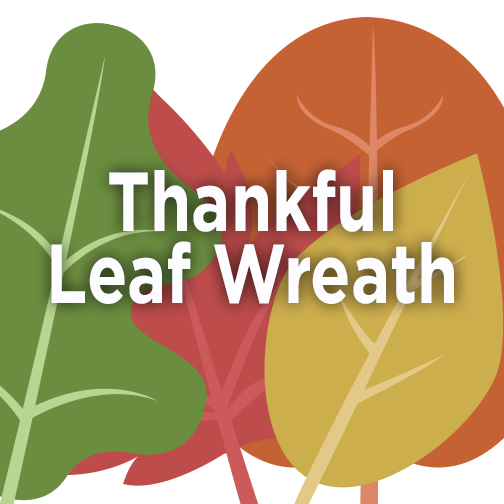 To celebrate thankfulness, spend some time this morning making this simple Leaf Wreath with your kiddos. It can serve as a perfect last-minute decoration at home, or even as a gift if you’re going elsewhere for dinner! This activity will help kiddos remember all the wonderful things they are thankful for in their lives. Click the leaves below to view the two different templates, as well as instructions for making this festive wreath!